Share Things You Love. Share Your Dentist! We love referrals! As a valued patient of our practice, when you recommend Chace Lake Family Dentistry (CLFD) to your friends, family and co-workers, we see it as the highest compliment we can receive. Our team strives to earn your referrals by providing an exceptional dental care experience to each and every patient. We’re still accepting new patients, so please keep spreading the word. Use our Share A Smile cards (SAS) to make a referral of a new patient to Chace Lake Family Dentistry, you will get to select a reward for the qualifying referrals! Refer six (6) friends, family or co-workers within the calendar year (January 1-Decmeber 31) and receive a $50 gift card to one of our Chace Lake Neighbor Restaurants and Merchants participating partners. SAS cards are available at our front desk. Provide the new patient with a completed SAS card. The new patient must present the SAS card to our staff when checking in at their first appointment. OFFICIAL RULES: The $50 referral reward is available only when all conditions of the offer are met within the dates specified on the CAS Card. Based on calendar year of January 1 – December 31. Referral of a spouse and/or child does not qualify for a CLFD Reward. Referral patient (new CLFD patient that has not been seen at our practice in the past 24 months) must present completed SAS CAS card at the time of their first appointment for referrer (current CLFD patient) to receive credit for the referral. Referral credit may be applied to any dental service or procedure at CLFD, however, it may not be applied to previously paid-for services or CareCredit transactions. Rewards/prizes are subject to change without notice. This SAS CAS promotion may not be combined with any other offer or applied to any prior visits. Rewards are non-transferrable. Family members of CLFD employees are not eligible. Must be 18 years or older to receive Rewards. This program is subject to change without notice and may be discontinued at any time. Federal Law prohibits CLFD from offering this promotion (referral reward/drawing/entry) to anyone who is receiving services as beneficiaries under Medicare or state health programs. By participating in our SAS CAS Referral Program, you give CLFD consent to use your name and photograph in our marketing efforts whether on our web site, social media platforms, newsletters, blogs, etc. 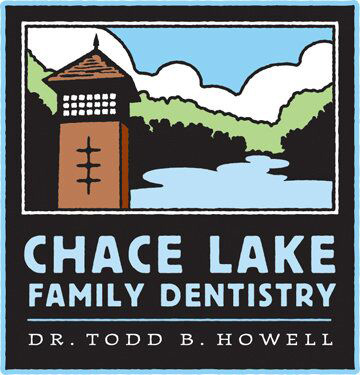 Chace Lake Family Dentistry is not responsible for any participating partner/member/third-party official rules and encourage you to read them fully.